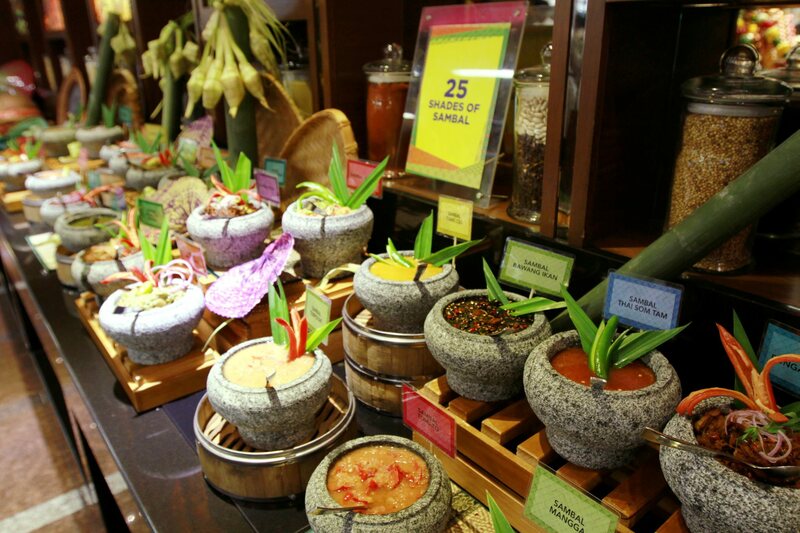 THIS Ramadan, Sunway Resort Hotel & Spa is offering “25 Shades of Sambal” for diners. Led by head chef Andy Low, a team of 60 chefs have come up with 25 types of sambal using local chillies, spices, fruits and vegetables. 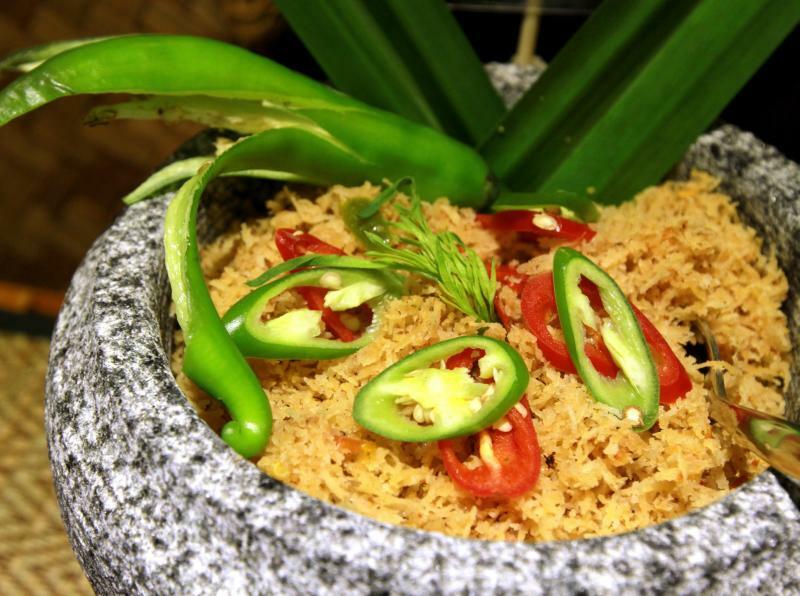 The result is a selection of sambal including popular ones such as cincalok, budu, tempoyak and Thai som tam. The special Ramadan buffet also includes creative condiments such as the minty-sweet sambal kelapa pudina, the gritty-salty sambal bunga kantan and fruity-sour sambal air assam lada. The Sambal Kelapa was one the less piquant options among the 25 Shades of Sambal available at the Ramadan buffet in Sunway Resort & Spa’s Resort Cafe. There are also the classics, such as sambal petai, sambal cabai hijau, sambal belacan bonda and sambal bawang ikan – all packing heat and flavour. This year’s Ramadan buffet at Sunway Resort Hotel offers about 400 dishes at The Resort Cafe and the newly opened Cafe West. The Resort Cafe’s Bustling Asian Food Hall theme provides a more traditional hotel restaurant buffet experience, while Cafe West’s Live Food Bazaar serves up street fare at live cooking stations where chefs mix up fresh fried rojak pasembor and stir giant woks full of gulai kawah. 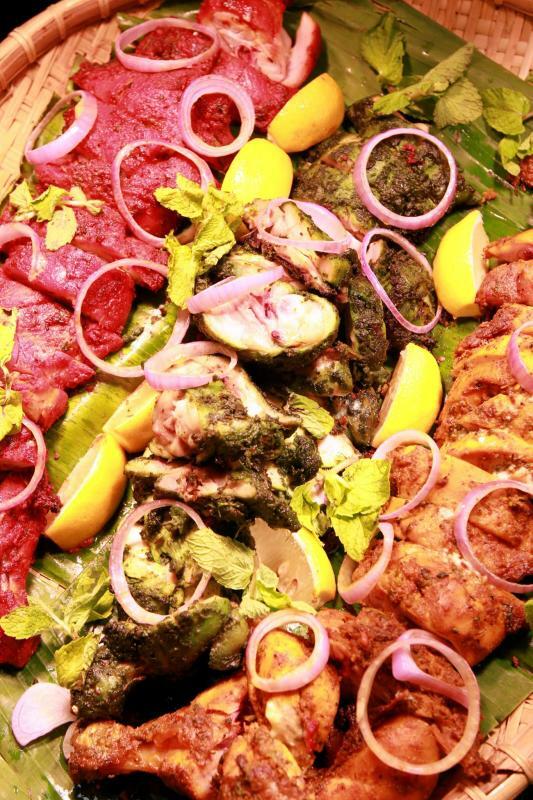 The buka puasa buffet will feature eight of the 25 types of sambal on a rotation basis. Paired with the sauces are a canvas of Brazilian-style churrasco – various meats marinated with lemon and herbs, tenderly grilled on skewers. The choices of grills included jumbo chicken sausage, king prawn, huge Hokkaido squid, chicken wings, fish and assorted vegetables. 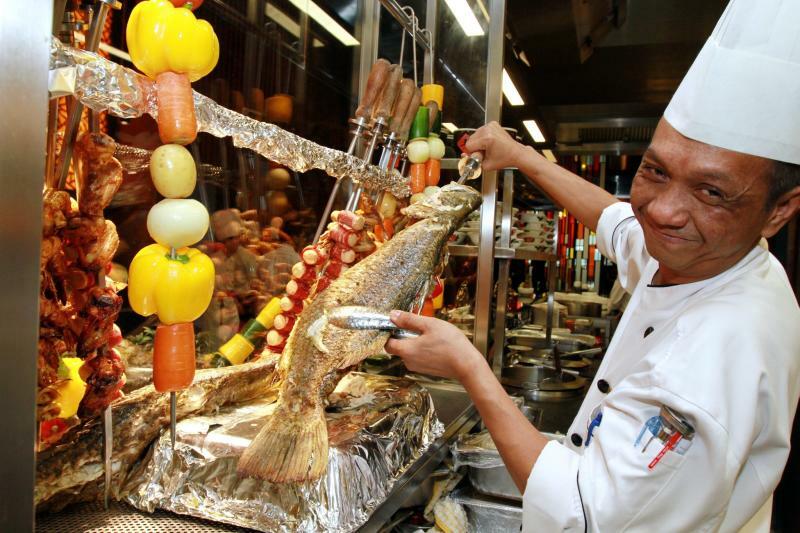 To go with the 25 types of sambal, the chefs of Sunway Resort Hotel & Spa’s Resort Cafe prepared Brazillian style Churrasco, which includes jumbo chicken sausage, king prawn, Hokkaido squid, chicken wings, fish and assorted vegetables. The salad bar also has been redone, with ingredients for Thai kerabu, Indonesian gado-gado and local ulam. One of the hottest dishes available besides the array of sambal is the mamak-style beef soup, a heavily peppered broth containing tongue, liver, brisket and stomach. Making a comeback is The Resort Cafe’s most popular dish, Soup Gearbox Turbo. According to Low, the kitchen served up two tonnes of this offering last Ramadan. The bone shaped roughly like a car’s gear-stick is stewed for eight hours, rendering the marrow into a fatty jelly and infusing it with a strong meaty flavour in the soup. One of the more visually arresting dishes that is bound to make patrons stop, grab and go is the Traffic Light Tandoori. Using traditional tandoori spice marinade, turmeric and spinach paste, the chefs give distinct red, yellow, green colours while putting a twist of flavours to the tender clay-oven baked chicken. Tandoori to make you stop, grab and go, made in traffic light colours by marinating tandoori in classic red spice, tumeric yellow and spinach paste for green. Another creative dish is Low’s own chee cheong fun stuffed with a choice of beef rendang or chicken satay. For dessert, there are platters of kuih-muih and their cream-laden Western counterparts, as well as ice cream bar. Two desserts that especially manage to raise things, a notch, are the gently fragrant pear crumble and the uncommon sira labu, a clear soup of boiled pumpkin married with the light sweetness of pandan leaf. A particularly novel combination of East-meets-West is the ais kacang topped with a dollop of cotton candy – the result is an orangey syrup-laden ice mound with a toupe of wispy yellow candy. The Ramadan buffet at both The Resort Cafe and Cafe West in Sunway Pyramid Hotel West are priced at RM168 for adults and RM68 for children six to 12 years old. The buffets are available nightly from 6pm to 10.30pm, until July 5.